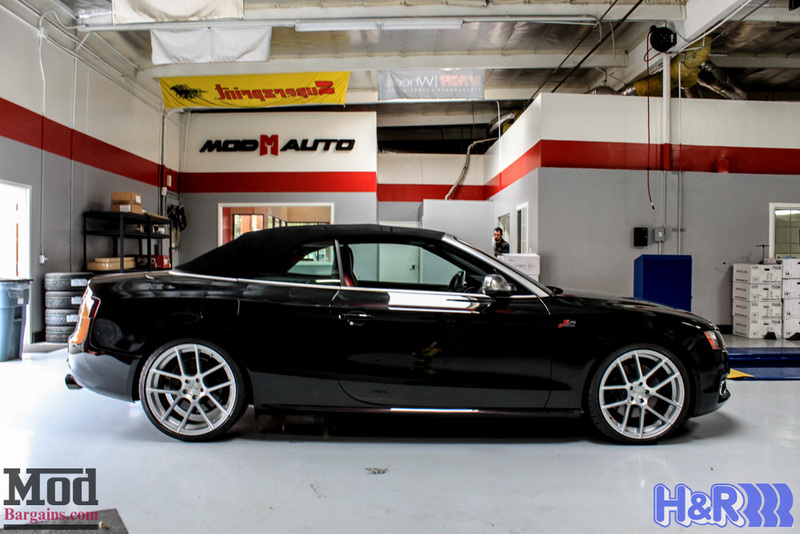 Today we fitted this B8 Audi S5 cabrio with quite a few performance upgrades. 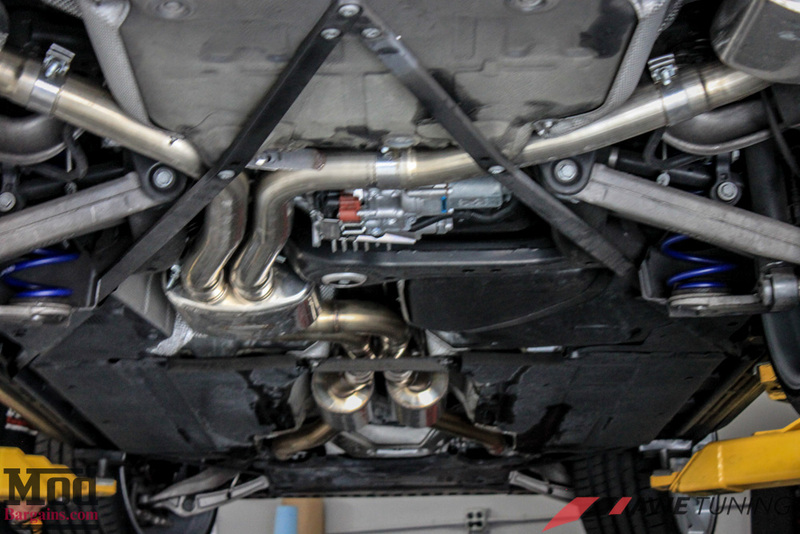 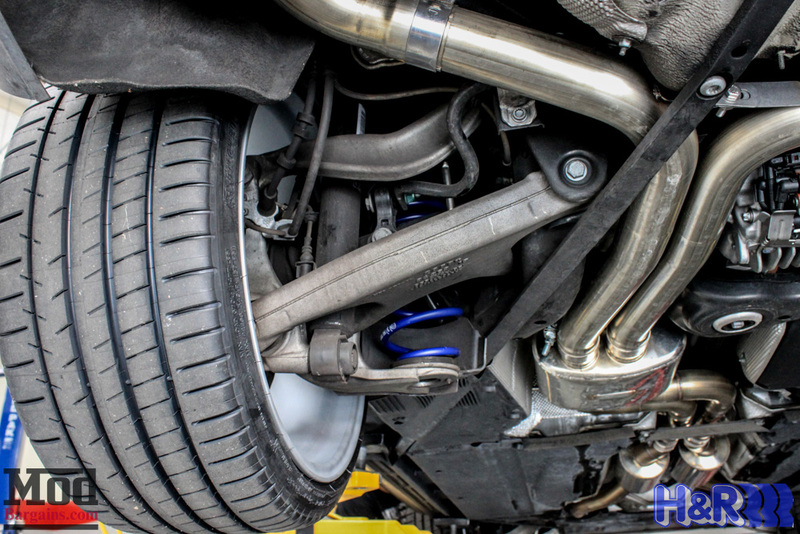 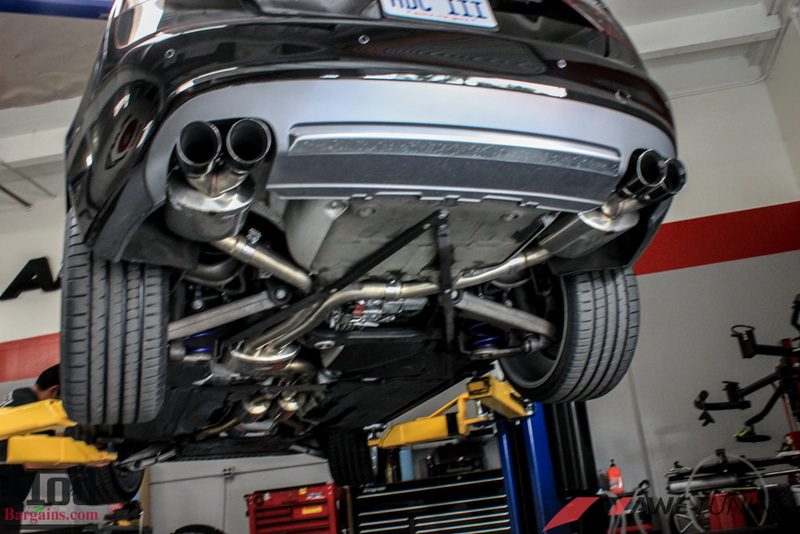 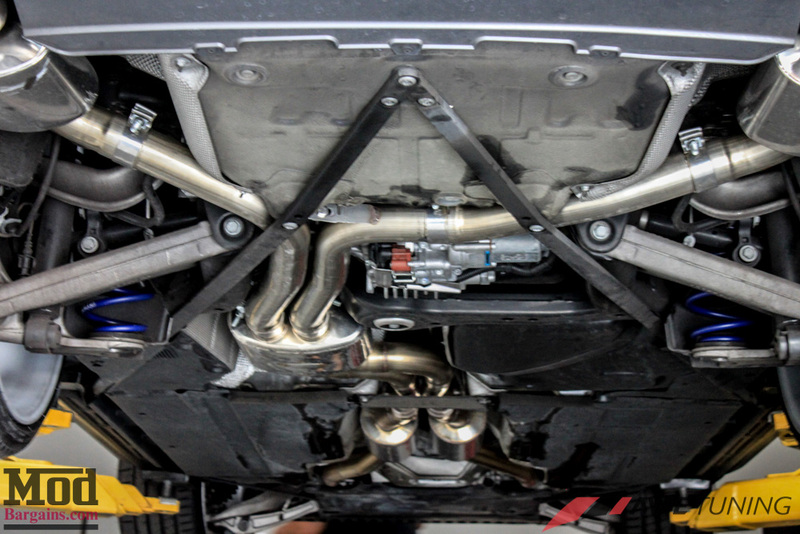 While the B8 Audi S5 is no slouch to begin with, the OEM B8 S5 exhaust is a touch… quiet. 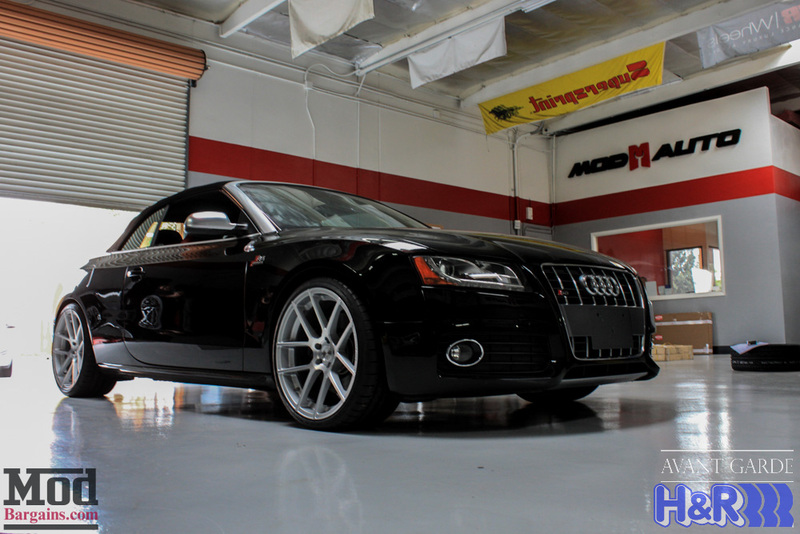 Mod Expert Alan (x8006) brought in this S5 to be fitted with an AWE Exhaust, H&R Springs and Avant Garde wheels. 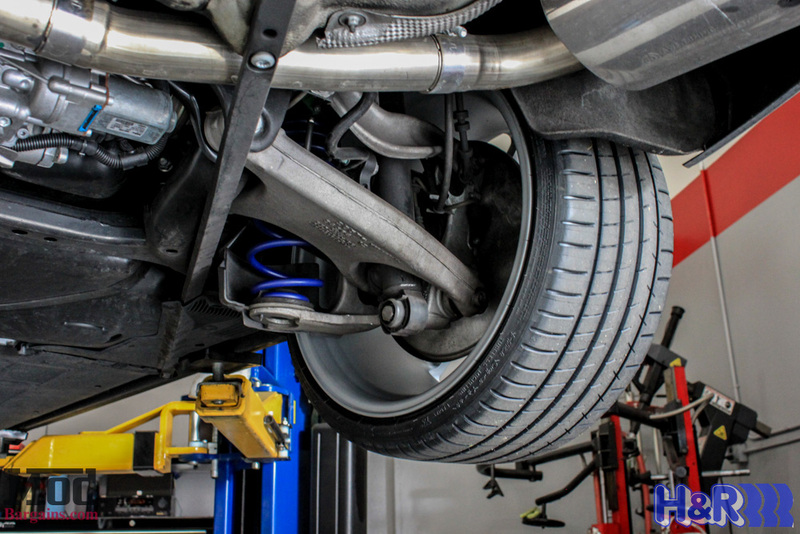 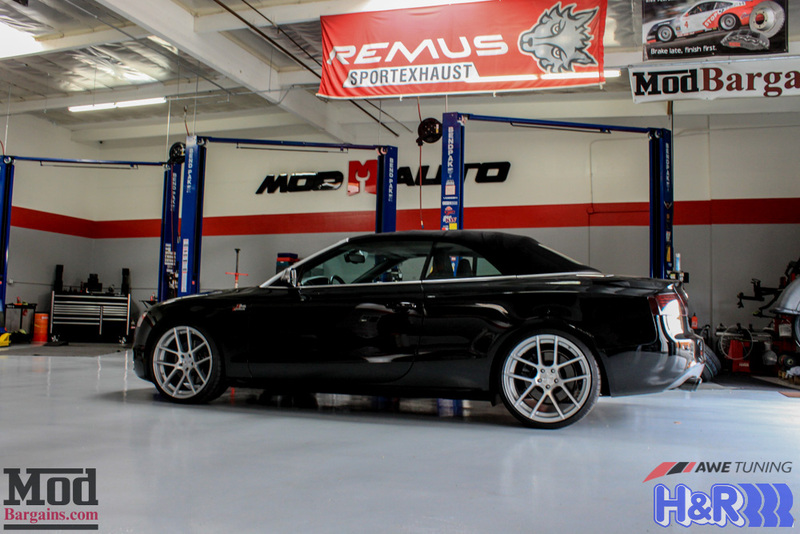 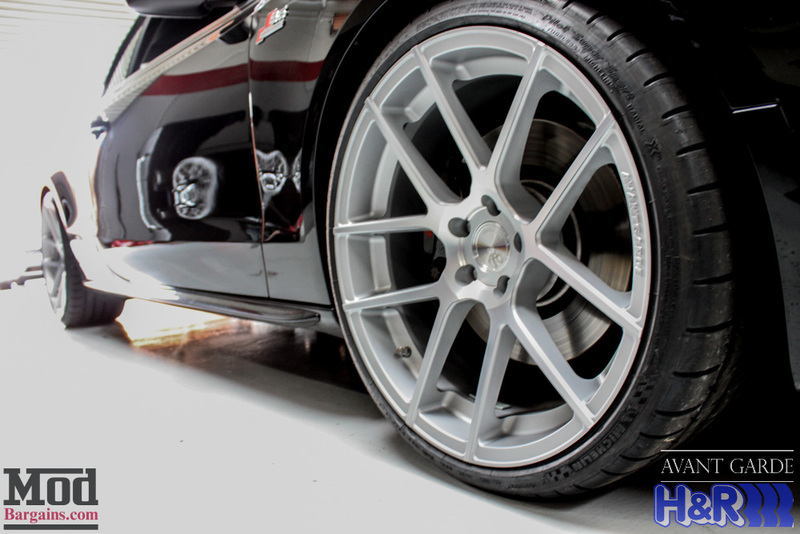 The OEM ride height still left a little too much wheel gap as well, so a set of H&R Sport Springs for B8 Audi S5 Cabrio were just what the doctor ordered, bringing the S5 Cab down 1.3in up front and 1.25 in the rear, allowing the Avant Garde M510 wheels for Audi’s 20×9 width more evenly fill out the fenderwells. 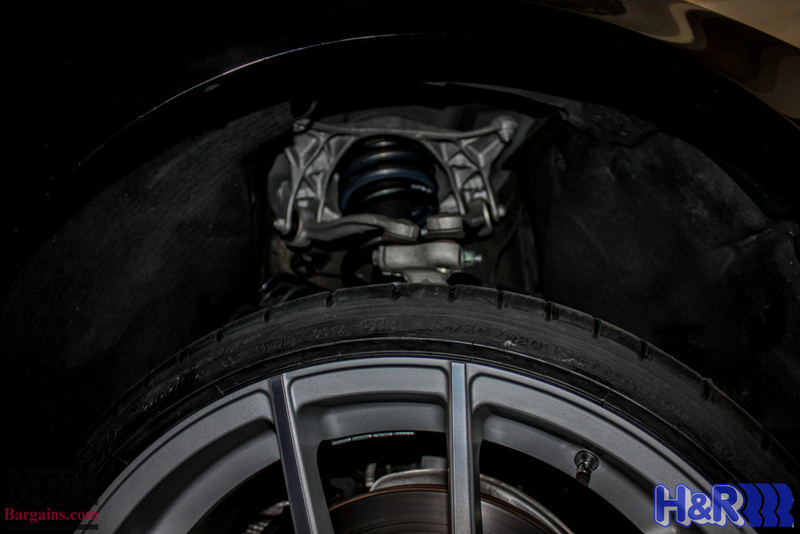 Wrapped in 265/30-20 tires, the S5 has plenty of grip at each corner of the Quattro system. 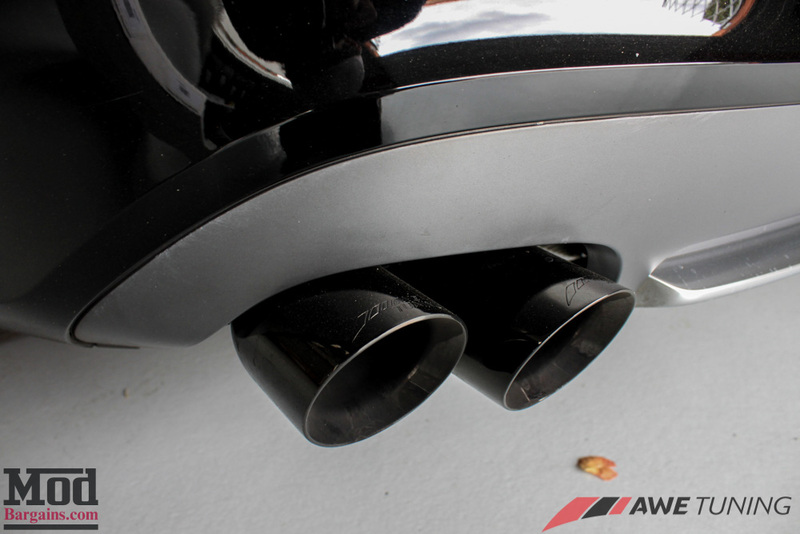 Giving the S5 Cab some bark to match its bite is a AWE Tuning Touring Exhaust System for B8 Audi S5 Cabrio, which gives the car a throatier tone without droning or being hateful to listen to, and the diamond black exhaust tips really compliment the triple black look this S5 Cabrio has going on. 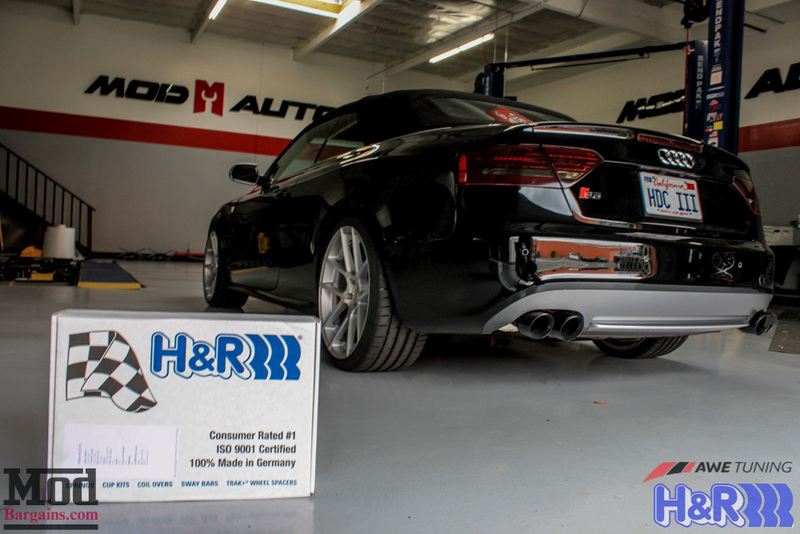 After finishing up, we put the S5 back on the ground and took a few steps back to admire our handiwork. 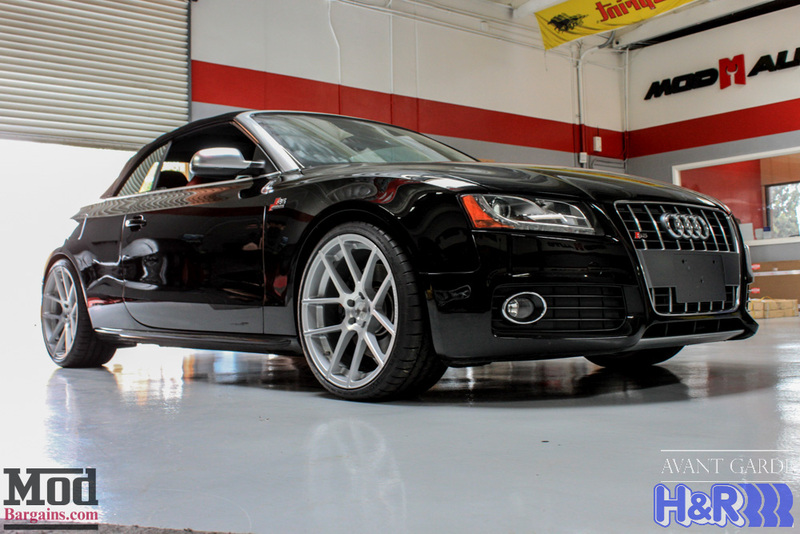 All told, the combination of Avant Garde wheels and H&R Springs drop really gives this S5 a really clean look. 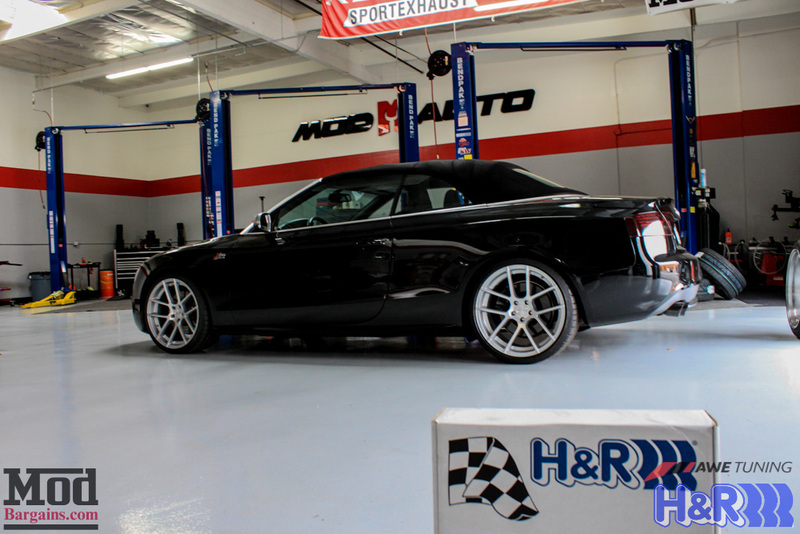 H/T to Mod Expert Alan for making the recommendations to get this car to come out the way it did. 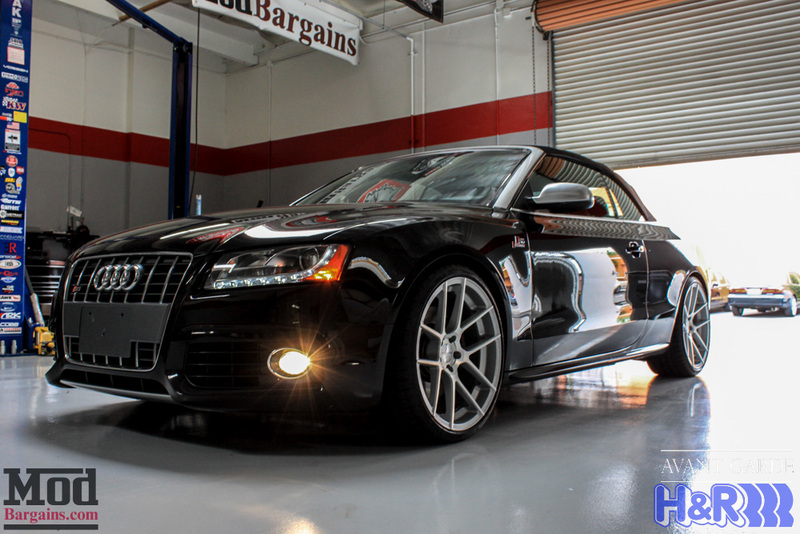 Interested in getting more out of your Audi? 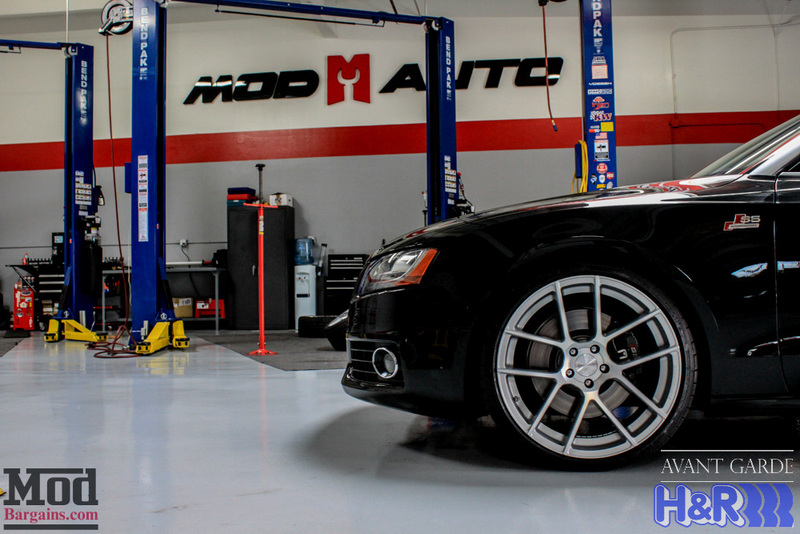 Check out our guide to the Best Mods for the B8 Audi S5 here. 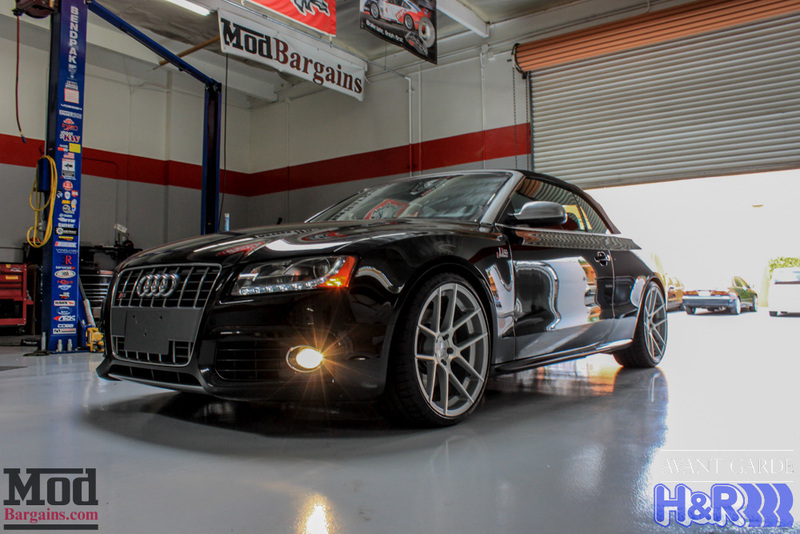 We invite you to talk to our team of Mod Experts like Alan (x8006) by calling 714-582-3330, email, chatting live at ModBargains.com or just visiting the ModAuto showroom in La Habra, CA any day during business hours. 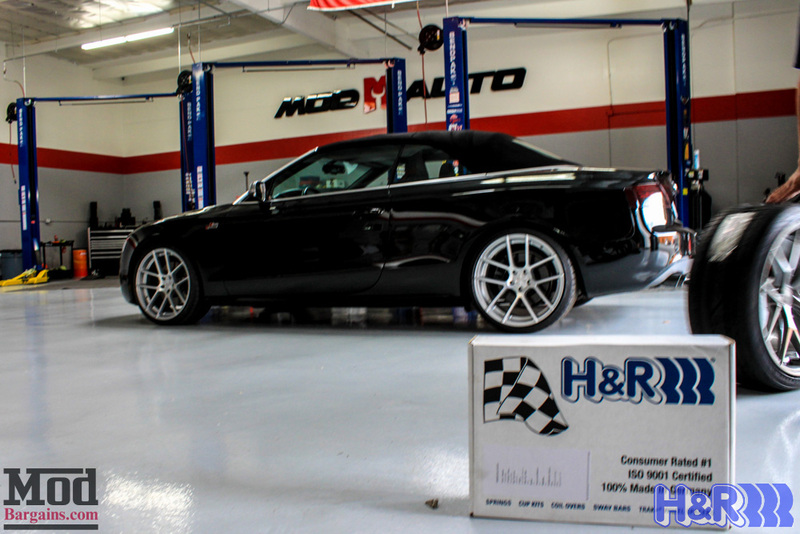 Thanks for joining us, and we’ll see you next time!